I apologize if some of the pictures are fuzzy, but my camera is not so good at closeups. This is Talinum fruticosum, also known as Ceylon spinach, Phillipine spinach or Florida spinach. In the summer, it's always covered with these tiny pink blooms. 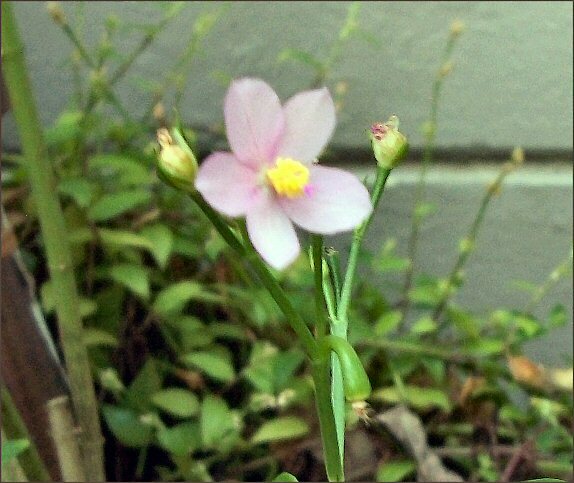 It's cousin, Talinum paniculatum, is an ornamental that has tall panicles of tiny flowers. This tiny beauty is the flower of a weed that grows outside my courtyard. I don't remember the name, but it spreads a carpet of these beautiful tiny blue-purple blooms across the ground in the fall. 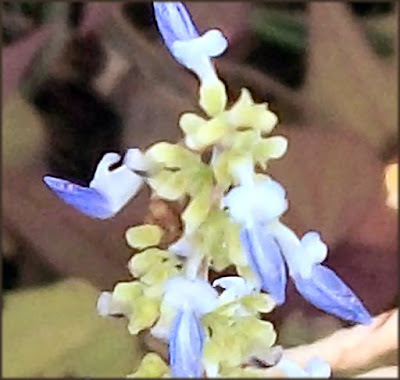 These are the flowers of one of my coleus. They are pollinated by ants and gnats, which would make sense since they are so small. 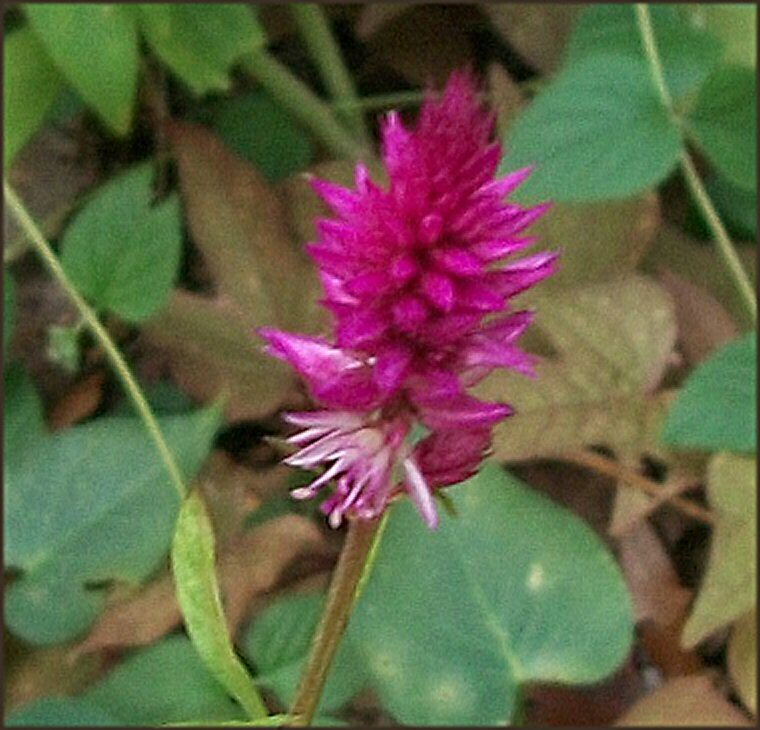 This is Celosia argentea, another edible plant. I just love the tiny, spiky, hot pink blooms, don't you? The self-seed themselves every year, and provide plenty of yummy greens. This is a cluster flower of yellow tropical milkweed. 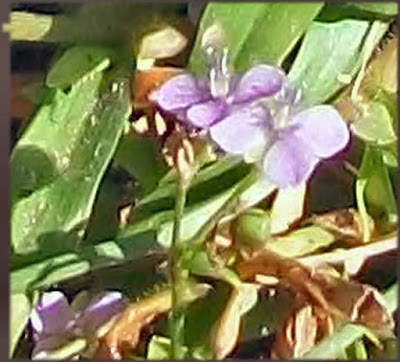 Each cluster is composed of multiple perfect tiny flowers. 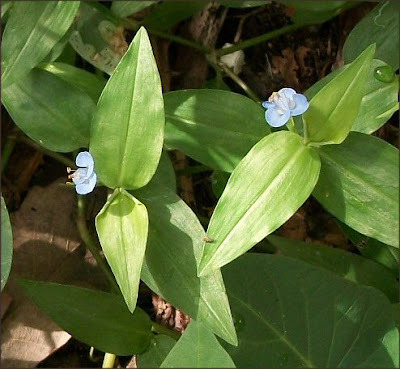 This is creeping dayflower, an edible weed that has the most beautiful tiny blue 3-petaled flowers. 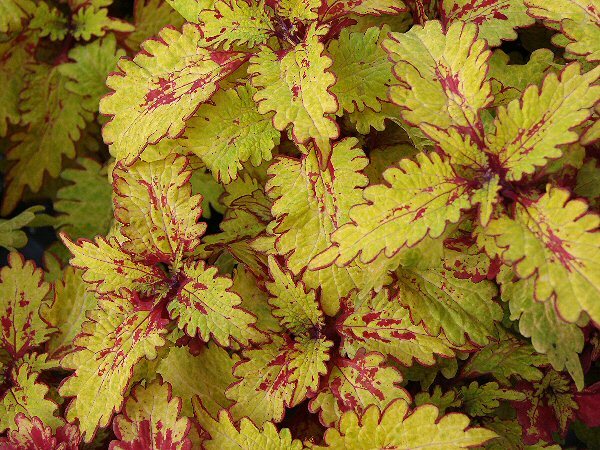 If it's grown in a fertile spot, the leaves and flowers can get much larger, but I like them tiny. I love all kinds of flowers, but the tiny ones have a special place in my heart. 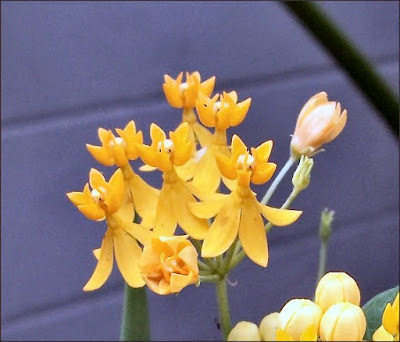 I hope you've enjoyed this post and it will encourage you to find a few tiny beauties in your own yard.